Champions in blending classic heavy metal, hard rock, and ’80s hair metal, Canadian shredders STRIKER will release their sixth studio album, “Play To Win”, on October 26 via their independent label Record Breaking Records. The LP features 10 fist-pounding shredtacular anthems produced by the band, with mixing and mastering by Hendrik Udd (FIREWIND, POWERWOLF, HAMMERFALL, DELAIN). The lyric video for the first single, “Heart Of Lies”, can be seen below. 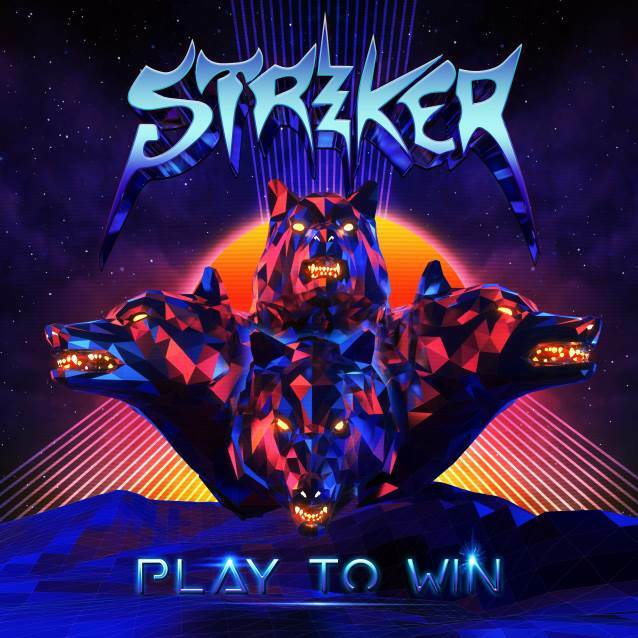 “Play To Win” follows STRIKER‘s 2017 self-titled full-length that the band supported with tours across Europe and North America with SONATA ARCTICA, DARK TRANQUILLITY and WARBRINGER, along with festival appearances at 70000 Tons Of Metal, Bang Your Head!!! (Germany) and more to add to the almost thousand shows performed in the group’s decade-plus career. That fifth studio album also garnered them a nomination from Canada’s Juno awards, the country’s highest music prize, along with wins at the Edmonton Music Awards and Western Canadian Awards. In support of the release of “Play To Win”, STRIKER will launc a crowdfunding campaign via their official web site Striker-Metal.com beginning August 9. Guitarist Tim Brown comments: “Play to win: if you want to win, you have to play the game. Find the rules and break them. “This is our sixth album and third independent release. “If we followed the rules and listened to the industry people, we’d have gone absolutely nowhere. “‘Play To Win’ is about listening to yourself, following your own path, and playing that fifth ace hidden in your sleeve.